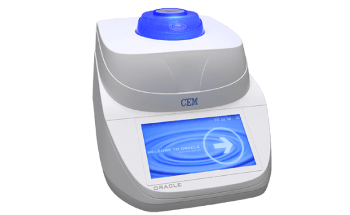 The ORACLE from CEM is the first ever rapid fat analyzer that requires absolutely no method development for fat-only analysis. At the press of a button, the ORACLE can analyze fat in any food sample with reference chemistry accuracy, without having any prior knowledge of the sample composition or matrix. Just press the run arrow and the ORACLE delivers a remarkably accurate and precise fat result in 30 seconds. 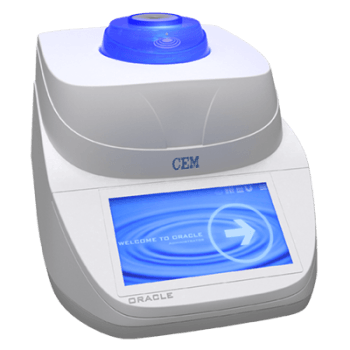 Alternatively, the ORACLE can be coupled with the SMART 6 for integrated rapid fat and moisture/solids analysis in less than five minutes. The recently developed NMR technology can completely isolate protons in fat from all other proton sources in food matrixes, such as proteins and carbohydrates. The ORACLE is the first ever rapid fat analyzer that totally does not require method development. 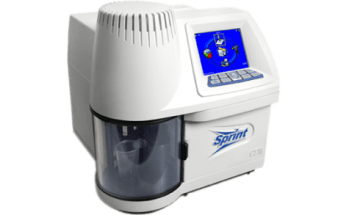 The ORACLE provides reference chemistry accuracy for all food samples without having any previous knowledge of the sample matrix and composition. Just press the run arrow and in 30 seconds the ORACLE provides a fat result. It’s truly that simple. The ORACLE can also be coupled with an automated robot for unsupervised analysis of 100 samples per run. 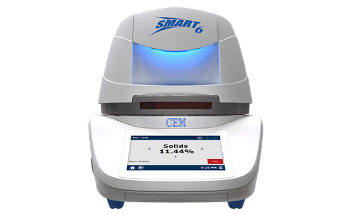 Combine the SMART 6 Moisture and Solids Analyzer with the ORACLE for fast moisture/solids and fat in a single system. 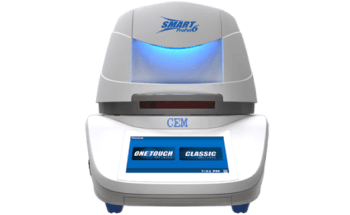 The SMART 6 utilizes dual-frequency energy to quickly test moisture/solids in any product, wet or dry, in about three minutes. The instrument is preprogrammed with a library of improved drying techniques for pairing with the ORACLE. The ORACLE was verified with more than 30 Certified Reference Materials (CRM’s) sourced from USA and Europe. 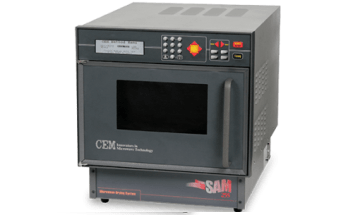 These trusted samples endure extensive reference testing in many certified laboratories and provide a standard for any food testing methodology. The blue data in the graph reveals the linearity between the ORACLE rapid fat results and CRM reference results. Since CRM’s are restricted in their available matrices, CEM also outsourced several samples to third party testing laboratories for wet chemical reference chemistry analysis. The red data in the chart reveals the comparison between the ORACLE and the outside lab reference results.